Councillors met on Monday to discuss Peel Energy’s plans and the development was approved with two extra conditions added to an already large list of requirements the developer will need to adhere to. Planning committee chairman Theo Smith. 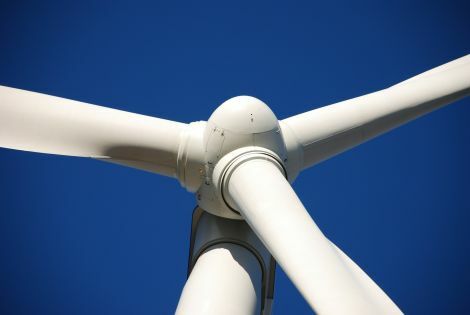 In a report presented to councillors on Monday afternoon, council planners said the wind farm would make a “significant contribution to meeting greenhouse gas emission and renewable energy targets” and would provide job opportunities and contribute to the local economy. Three residential properties are within one kilometre of the wind turbines, at Frakkafield and Tagdale, and a further seven properties are within 1.5 kilometres. 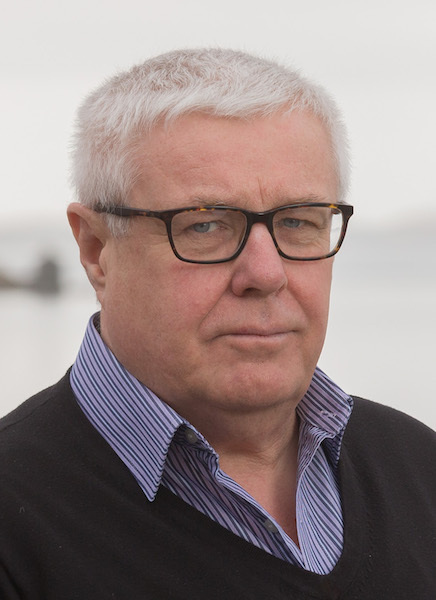 Shetland Central member Davie Sandison said with scores of conditions in mind, he had worries about the under-staffed planning team’s ability to deal with the development. “My concern is about the extent of the resources available…and the level of expertise with our resources,” he said. Planning manager Iain McDiarmid said his team were used to processing a wide range of applications from house extensions to the Shetland Gas Plant, but admitted it could be difficult to juggle a number of large developments at the same time. This could happen should plans for the interconnector, which are being led by Scottish Hydro Electric Transmission, get the go-ahead. 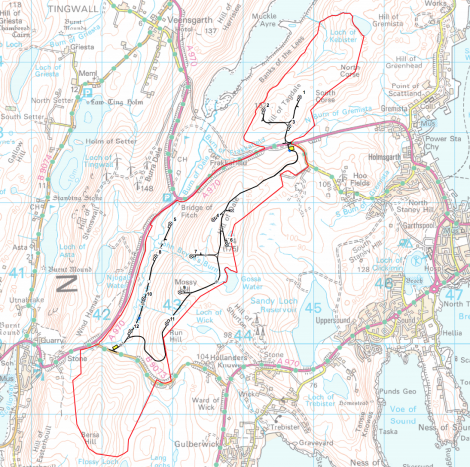 Local campaign group Sustainable Shetland had objected to the Mossy Hill plans, saying that it – along with the nearby Burradale development and the proposed Viking Energy wind farm – would have an “unacceptable” cumulative effect on the isles’ landscape. The group’s James Mackenzie was one of four objectors who spoke to the committee on Monday. He suggested the Mossy Hill wind farm may contravene planning guidance due to the capacity of the turbines. Angus Nicol, speaking on behalf of residents from nearby Frakkafield, said all of his neighbours opposed the plans. He described having large wind turbines near to two accident blackspots at the Frakkafield junction at the Brig o’ Fitch as “nuts” – suggesting they could distract drivers. Jenny Atkinson, from Tingwall, raised concerns of shadow flicker and the movement of turbines. She said with the existing Burradale generators nearby her house, “we will be surrounded by turbines”. Peter Davis of the Shetland Clay Target Club, meanwhile, said the proposed site encroaches on part of its shooting area. “The access road will infringe on our safety drop zone, which has to be in place for the legal reasons,” he said. Peel Energy’s development manager Steve Snowden faced a number of questions from councillors, particularly relating to the development’s proximity to houses. “We are informed by our studies that in these instances there will not be an unacceptable adverse impact,” he said. “Right from the start of this meeting today what really, really disturbed me is this flicker, or potential flicker from these machines, especially in Frakkafield,” Theo Smith said as the discussion moved to debate. He said he wanted a condition to “beef up” shadow flicker mitigation by specifically mentioning the houses at Frakkafield and also at the top of Shurton Brae in Gulberwick in a condition about the issue. Lerwick South member Cecil Smith agreed, saying: “I think we need to be sure that we keep complete control of this flickering”. Town councillor Malcolm Bell supported Theo Smith’s motion, but suggested to add a condition to ensure that any problems with the clay shooting club are dealt with. George Smith, meanwhile, said he was “quite uneasy” about the application. “I’m really not sure that this is acceptable to the folk that are most affected by it,” he admitted. Manson said she “could not look herself in the mirror” if she supported the plans due to their proximity to housing, with noise in addition to flicker also a potential problem. She suggested development should be “somewhere it’s not going to destroy somebody’s life”. Manson proposed a counter motion to refuse the plans, but she was outvoted and the wind farm development moved one step closer to coming to fruition.